Atlas Partners Group has two main roles within this category, the first element is providing opportunities for investors to acquire a position as an investor into a project as a Joint Venture Partner. Secondly, Atlas Partners Group can act as an agent for the sale of healthy and profitable income producing property assets. Atlas Partners Group is keen to develop new relationships with investors that can work within structured partnerships with other investors. Alongside this Atlas Partners Group is also happy to work with investors that need to expand their brand. 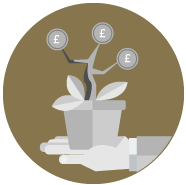 Atlas Partners Group can work with investors to protect and maintain existing and proposed tax structures in conjunction with banks, institutions and chartered accountants. Atlas Partners Group prides itself on its policy of secure confidentiality to ensure that investors interests are protected. Through engagement with major law firms and professional PR companies we are able to negotiate securely with land owners and relevant third parties to ensure the reputation of our clients are viewed positively in the press.